PLEASE NOTE THAT THE NEXT MEETING WILL BE ON 30TH APRIL. THERE WILL BE NO REHEARSALS ON 9TH, 16TH, 23RD APRIL. SEFTON COUNCIL EVENTS LISTING HAS BEEN INFORMED, BUT THE LISTING HAS NOT BEEN UPDATED ON THEIR SITE. The choir is sounding great. We did some harmonies yesterday, and it went well. Learning tracks are now in the members‘ area. At the start of the rehearsal we will hear from Green Heys about the concert for residents there on 7th May. A limit of 20 singers will be made, and a sign-up list will be made available on a first-come-first-basis for those who would like to sing. We will be rehearsing BRIDGE OVER TROUBLED WATER, HALLELUJAH, SUMMERTIME and DANNY BOY. Please see the Members‘ area for more information. After the wonderful singing last week, we are looking forward to the rehearsal on Tuesday at 130pm. We will be singing SOMEWHERE, I DREAMED A DREAM and HALLELUJAH, and maybe BRIDGE OVER TROUBLED WATER. We are all looking forward to the next rehearsal on 26th February. The pieces we will be singing this week will be Summertime, Somewhere, I Dreamed a Dream, Danny Boy, and again I’d like to teach the World to sing, time allowing. The sound of the choir was very good at the last rehearsal, and everybody enjoyed themselves, which is our main aim. We will be taking the choir to Green Heys Care Home on 7th May, but also are planning a bigger concert at a bigger venue, to be decided. Folders will be issued on Tuesday. These will cost a pound. 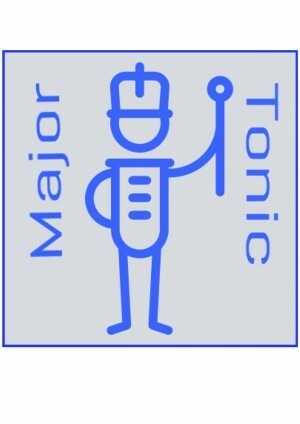 The logo of Major Tonic will be put onto these, and is being designed. The folders will be the property of the singer. Looking forward to singing with you on Tuesday!! More than 3 times than we expected, turned up!! What a fantastic sound. Really loved to listen to everyone sing. Everyone enjoyed themselves. Can‘t wait to get to the next rehearsal!! The rehearsals for the first concert on 7th May at 130pm will take place on the following dates. (note there will be no rehearsals over the Easter break, ie 9th, 16th, 23rd April). 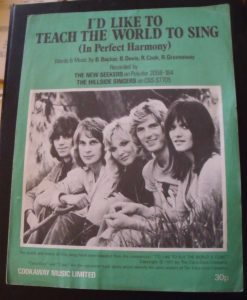 The music/words will be provided for the first rehearsal which will include Any dream will do, I’d like to teach the world to sing, Hallelujah. It will not be necessary to read music. The pieces are well know, and will be gone through for us to learn in unison. The first concert on 7th May at 130pm will be at a local care home, venue to be confirmed soon. Spread the word, as we want a good turn out!!! Getting excited to be starting rehearsals in less than 2 weeks. We will be singing the following pieces at the first session on the 19th February. I’d like to teach the world to sing. Composer. Backer, Davis, Cook, Greenaway.